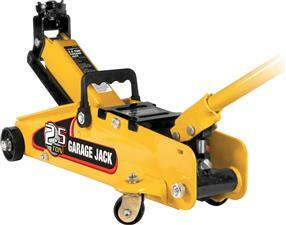 The 2.5 Ton Floor Jack with Case ranges from everyday garage service to heavy-duty industrial use. Each jack is 100 percent factory tested for reliable durability and safety. Base: 8-15/16 in. x 20-7/8 in.